For moons, 5 Clans - CaveClan, StoneClan, ValleyClan, BeachClan and IslandClan - have shared the territories in relative peace, raising their kits, hunting for their Clanmates, and enjoying the calm, easy life they lead. But soon, another force will threaten to tear this calm apart, ripping the warriors from everything they know. This force will cause terror and confusion within the Clans. Cats will turn on each other, and the warrior code will face destruction. 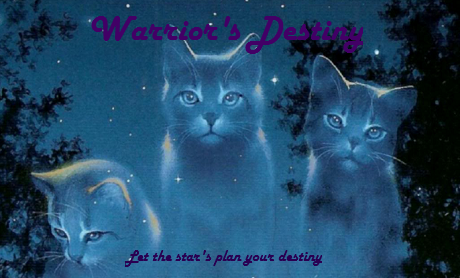 We are a small, new Warrior Cat RP.